"The story revolves around three main characters: Alice, Kieran and Jenny and a group of bullies known as the Popular's. Alice Turner is a year eight pupil at Stowton Middle School who has become a victim of bullying by the girl gang – the Popular's. 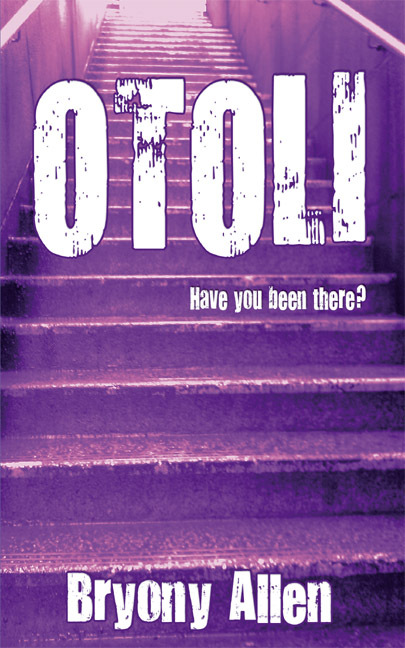 Deeply unhappy, Alice finds herself wandering into a cafe called OTOLI that she has never noticed before. There she meets Jenny the mysterious waitress who always seems to be scrubbing the same table clean. Alice is initially excited to have a friend, but she soon realizes that this friendship may come at a price. At times we depend upon one another and our life "depends upon" another, enough to manipulate someone into convincing you to make bad choices and live with regret. Accept your intuition and go with the thought that this is not right and everything has to be done to stop it. The author is trying to alert the world that bullying is very destructive and has severe consequences and it should become a priority to stop it from continuing. What if you found a friend who accepts you unconditionally but then begin to realize that something is not right here? We've all been there, question is - do you continue the friendship or walk away? It is hard to make choices when you're a teenager, events and challenges arise and an individual is on the outside looking in and needs to choose between being morally right or immorally wrong and go with the peer pressure or rebel against it. This is such a story about bullying and how each character, Alice, Kieran and Jenny decides to deal with the emotional consequences of being bullied."